One custom made 18 karat yellow gold woven bracelet. Twenty-two sapphire (0.66 carats). 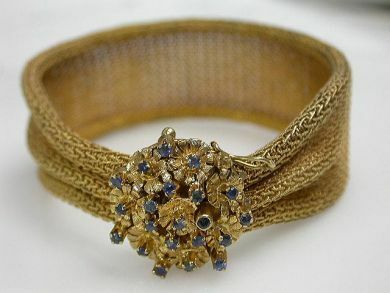 The sapphires are set in the floral concealed clasp. The bracelet is 6 ½’’ in length.